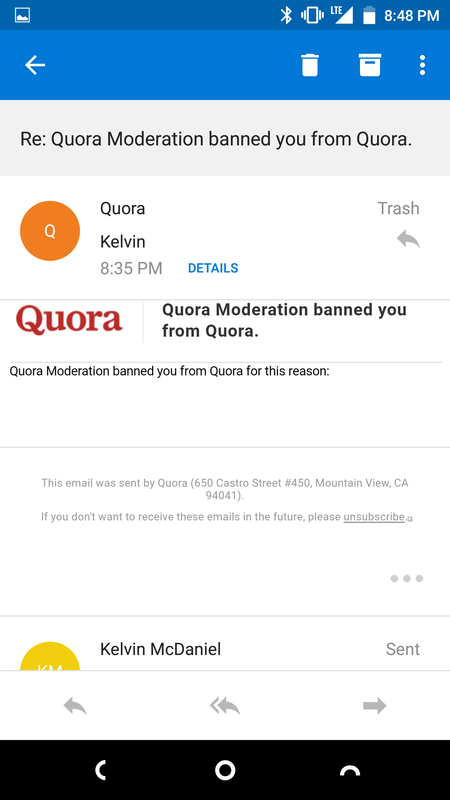 January 2017 – Thoughts from "him"
So, apparently I was just banned by Quora.com’s moderation crew. I have no idea if that was automated or by a real person. I’ll keep you posted with the play-by-play on what the heck is going on. Me? 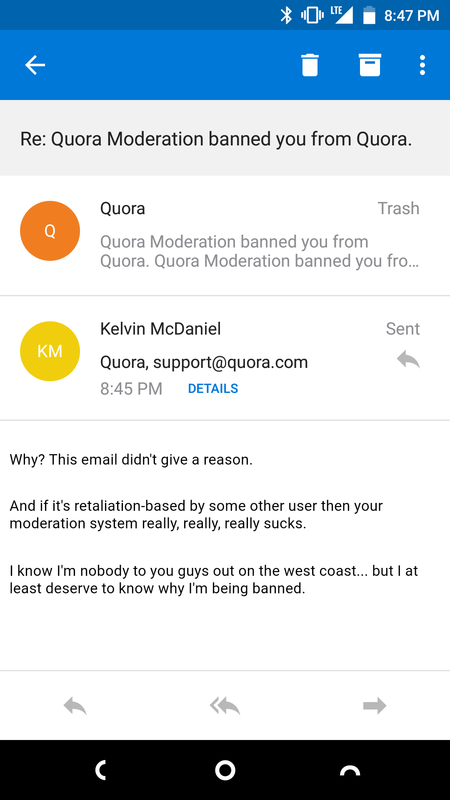 I’m going to take a breather from the “need” to help an organization that obviously doesn’t pay enough attention to its own policies OR has a very heavy-handed way of dealing with “disputes” (of which I have none but one or more folks might be pissed at me from pointing out their obvious commercials on Quora’s site). And I’m going to seriously reflect on whether or not I should devote so much time to a community site that devotes absolutely nothing to me, one of its “top contributors”. This will be the case even if they’ve been hacked and I’m just an unfortunate casualty.